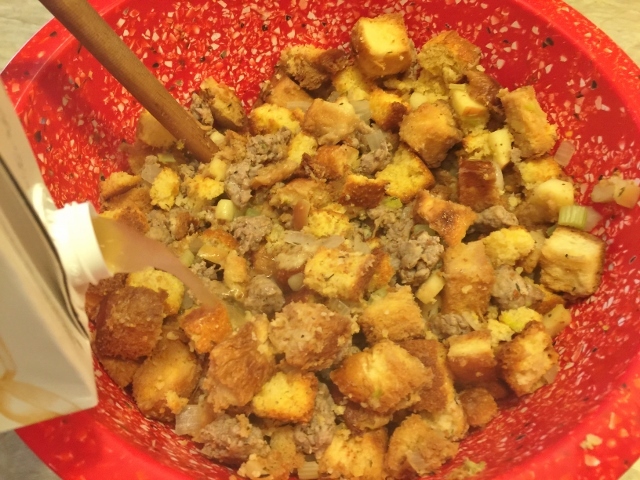 Cornbread, Turkey Sausage & Apple Dressing - Recipe! - Live. Love. Laugh. Food. 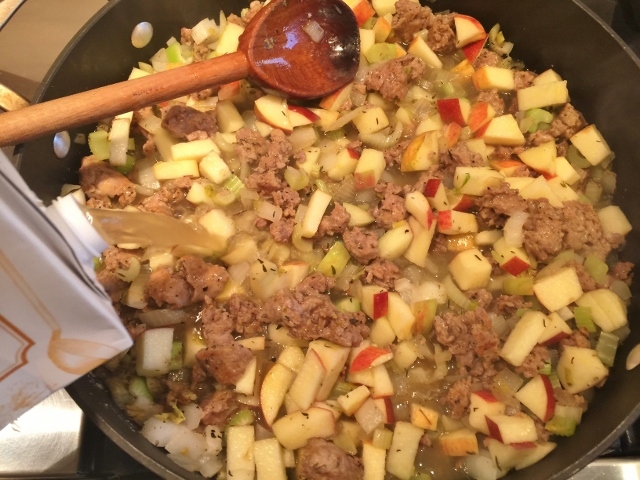 Cornbread, Turkey Sausage & Apple Dressing – Recipe! 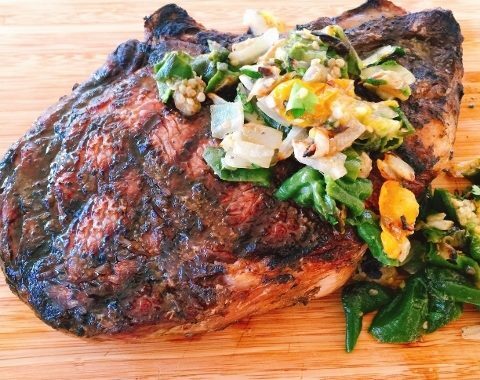 Dressing or stuffing is one of the best dishes on the Thanksgiving table. 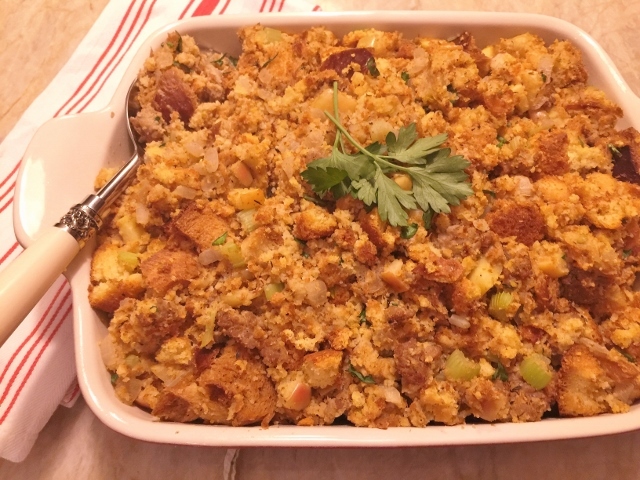 Dressing, which isn’t stuffed inside the turkey is often called stuffing, by habit and is prepared in a casserole dish on the side. 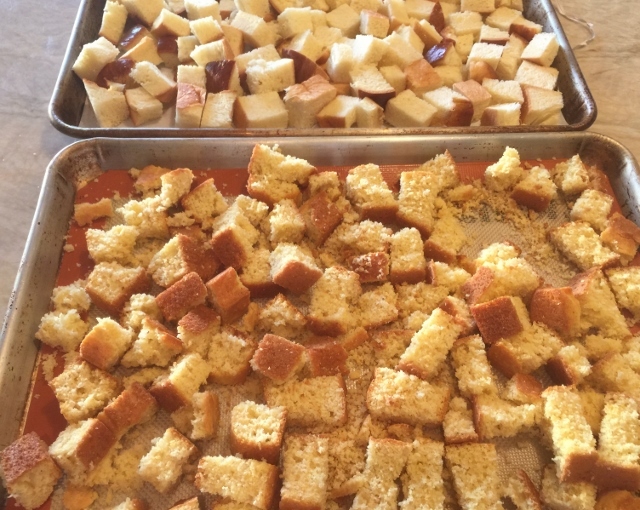 In my family cornbread dressing is a big tradition because of our southern roots. 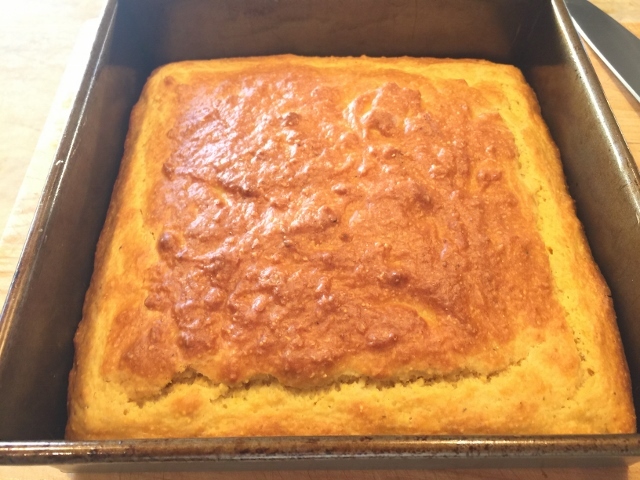 First, the cornbread is baked fresh and made with little sugar and combined with egg bread, sausage and apples for a natural sweetness. The crumbly texture of the dressing is delicate with a slight crunch on the top after baking. Sage, thyme and fresh parsley play a delicate role in the combination of flavors and the sweet turkey sausage adds layers of savory taste. 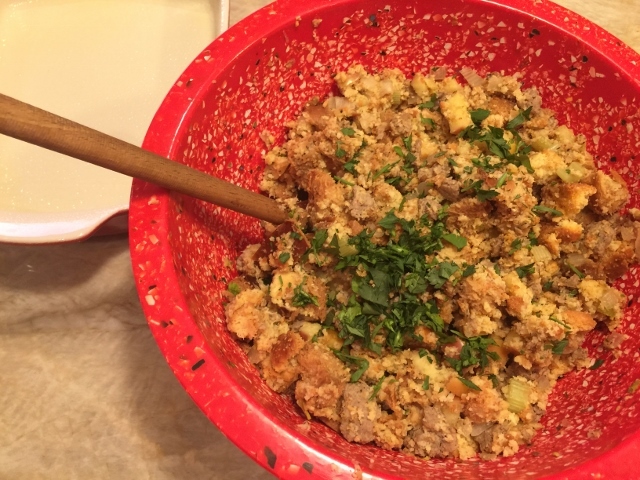 Cornbread, Turkey Sausage & Apple Dressing is definitely my favorite part of the meal and probably most of my families. This dressing can be prepared a day or two ahead and baked in the oven, just before dinnertime. I hope you all have a Happy Thanksgiving. 1. Preheat the oven to 375 degrees. In a stand mixer or large bowl, combine the flour, cornmeal, sugar, baking powder, salt and baking soda. Mix for 1 minute. Add the eggs, milk and oil and mix again for 1 minute on low until combined. Pour into a 9 x 9 greased baking pan and bake for 30-40 minutes or until golden brown on top. Remove and let cool to room temperature. 2. 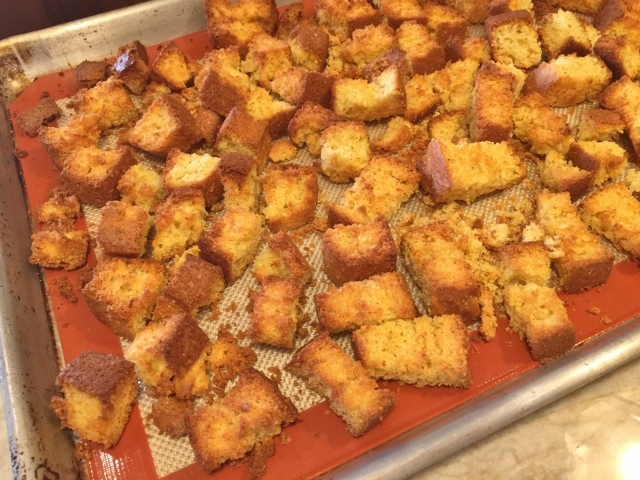 Dice egg bread and cornbread into large chunks and place on two separate sheet pans. Bake in the oven until golden brown, about 18-25 minutes. Remove and cool. 3. 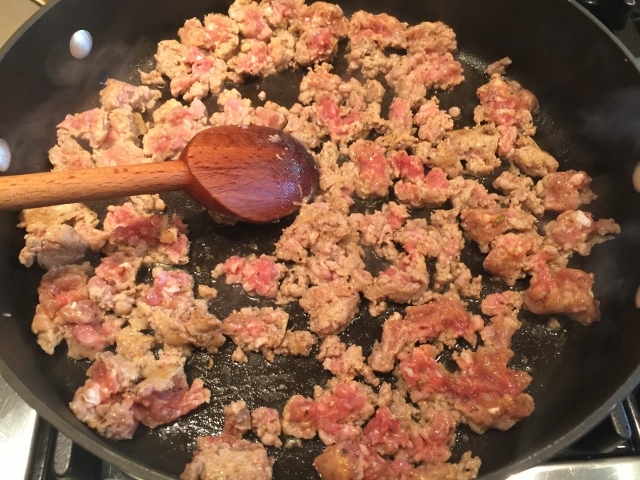 In a large saute pan over medium heat, add sausage and cook for 5 minutes while breaking apart with spoon. 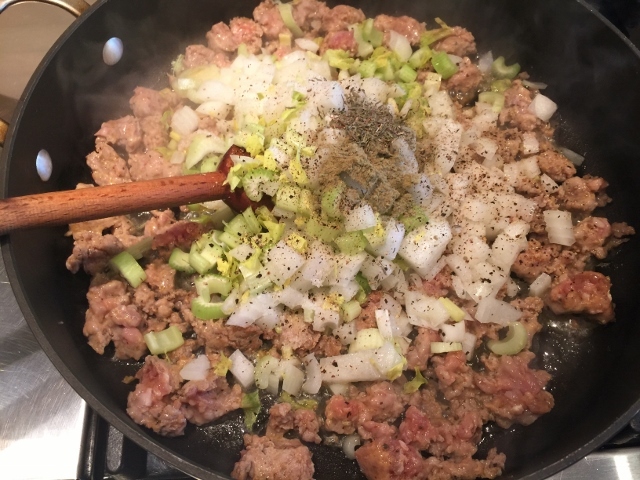 Add the diced onion, celery, sage, thyme, 2 teaspoons salt, 1 teaspoon black pepper, stir to combine. Continue to cook for 3 minutes. 4. 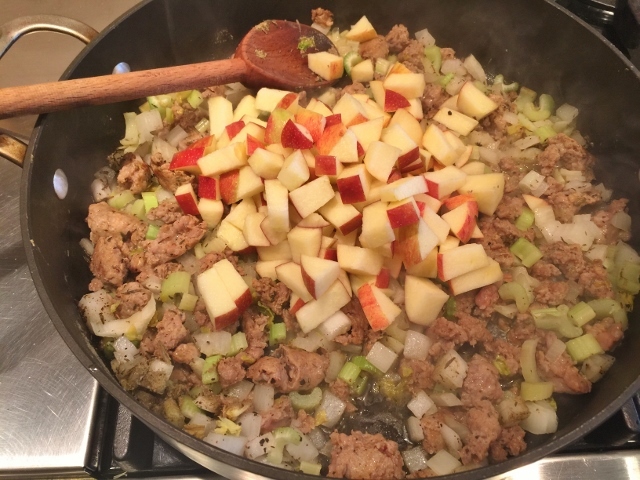 Add the diced apples and stir to combine. Pour in 2 cups of chicken broth and stir, cook for 3 minutes. Remove from heat and let cool for 10 minutes. 5. 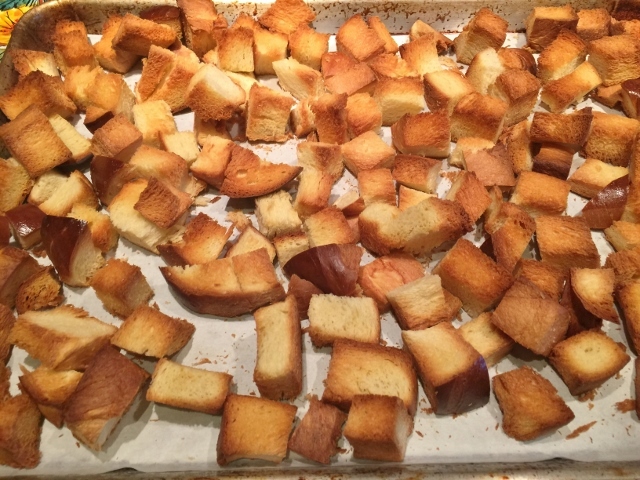 In a large bowl, add toasted egg bread, then sausage filling and toasted cornbread. Toss the entire mixture together until combined. Pour in the remaining broth and parsley, toss again. Pour into a greased 8 quart casserole dish and cover with foil. Bake for 30 minutes, remove foil and bake again for 15 minutes, or until golden brown on top. Serve immediately, enjoy! 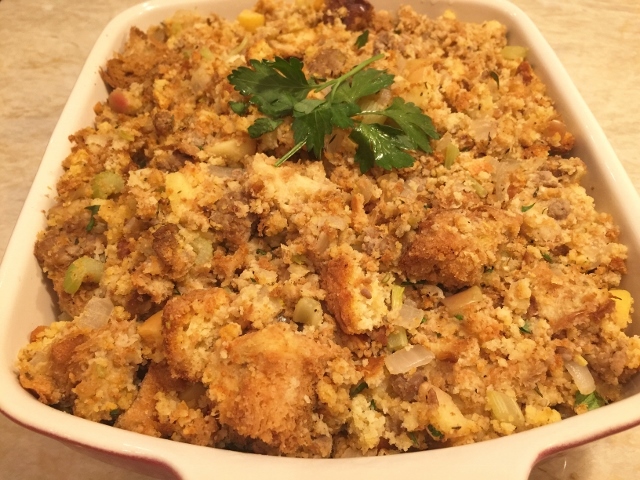 Baking with Gena BellCornbreadCornbread DressingCornbread StuffingHoliday RecipesHow to Make StuffingThanksgiving RecipesTraditional Thanksgiving StuffingTurkey Sausage & Apple Dressing - Recipe! 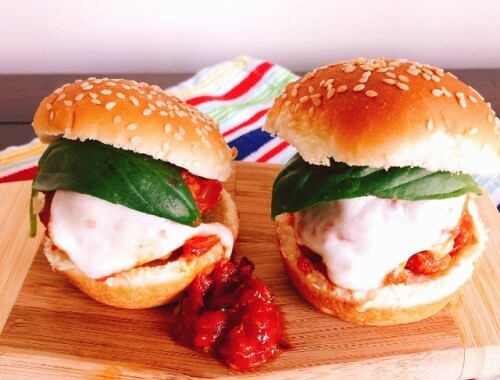 Father’s Day Favorites – Recipes! 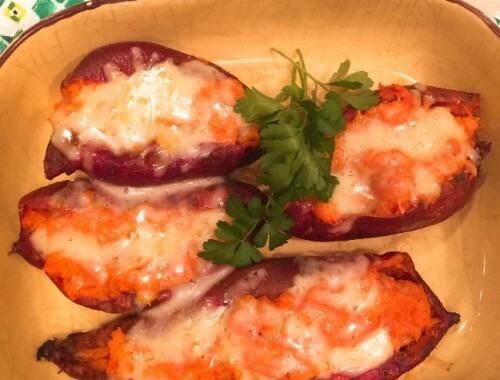 Twice Baked Sweet Potatoes – Recipe!